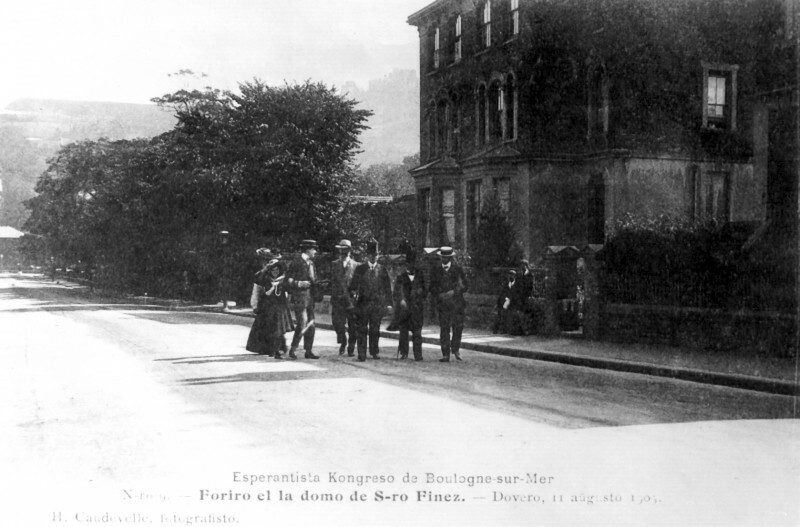 The early pioneers in Esperanto in Dover took a leading part in activities which led up to the holding of the first Universala Kongreso in Boulogne-sur-Mer in 1905. Esperanto is a planned international language first published in 1887. Its first adepts lived in the then Russian Empire, but it began to gain adherents in Great Britain from about 1900 onwards. The names (not always complete) and addresses of early speakers of Esperanto in Dover, with their registration numbers are as follows in the Adresaro de Esperantistoj (collection of addresses of Esperantists) of January 1904 to January 1905 (Series XXV, and subsequent series). All of the following are listed in Dover, Anglujo, i.e. England. The number given is a unique one for each individual. Indeed, early users of the language frequently signed articles with that number alone, knowing that anyone wanting to contact them could find their address in the Adresaro. Some of these individuals can be tracked through census records. Edward A. Walmisley (born in 1878) was a solicitor. Herbert Richard Geddes (1874-1952) was a Custom House Agent in 1901. Ten years later he was a manager at Friend & Co., Continental Carriers. Charles Edwin Beaufoy (1869-1955) worked all his life as a builder and undertaker. Ernest Edward Chitty (1882-1965) was a solicitor. William Henry Crundall (1847-1934) was a timber merchant and employer. He served as Mayor of Dover on many occasions between 1886 and 1910. Gerard William Ostermoor (1857-1911) was the son of a man born in Germany. Sadly, young Ostermoor ended his days in Chatham Lunatic Asylum. Noel Vaslet was the son of a Belgian-born professor of languages. In 1901 he was working as an engraver. Later in life he worked as a scientific researcher, and he also served as a Special Constable. According to the inside cover (p.ii) of The British Esperantist magazine for January 1905, an Esperanto Society in Dover had been founded in June 1904. Its Secretary is given as Mr Geddes, Northumberland House, and the President is listed as T. Walmisley, Esq. The British Esperantist for February 1905 reported bilingually that “The devoted secretary of the Dover Club (Mr H.R. Gesddes) gave an address on Esperanto at the monthly meeting of the Folkestone Chamber of Commerce on the 29th of November last (1904). The speech was a complete success, and in all probability the scheme will receive the official sanction and support of the Folkestone Chamber of Commerce”. In the list of affiliated groups in 1907 (see The British Esperantist, vol. III, title page) the secretary was Mr W. Chitty, Mildura, Park Avenue, and the President is listed as Sir Wm. H. Crundall. The number of Esperanto speakers registered in Dover is disproportionately large, compared with other British towns at this time. Can anyone account for this sudden outbreak of idealism and internationalism in the town in the years before the First World War? Press reports and letters in the press give a flavour of Esperanto in Dover in 1904 and 1905. ESPERANTISTS AT DOVER INTERNATIONAL CONGRESS. DOVER ESPERANTO CLUB (To the Editor of "The Dover Express.") Sir, May I venture to ask you to grant me a line in your paper to reply to the letter from Mr. Edwards and to explain the objects of Esperanto? Many people still seem rather uncertain as to whether Esperanto is a new breakfast food or a sort of hygienic craze. Needless to say, it neither, but merely an aŭiliary language for International use—comparatively new, it can yet claim a respectable age, and a large number of adherents, being extensively employed in Russia, France, Germany, Austria, Belgium, Holland, Switzerland, etc.. as a means of inter communication. its aid a Russian, knowing no English, could correspond or converse with an Englishman, the latter being acquainted with Esperanto, but knowing no Russian. In my own case, I have had the pleasure of interchanging ideas with a Hungarian gentleman, who is not at all acquainted with the English language, while it is perhaps unnecessary for me to say that my knowledge of Czech or Magyar is practically nil. I can claim from my own experience of Esperanto that a few hours study is sufficient to be able read, with some degree of comprehension, letters written in that language. As matter of fact, I wrote my first letter in Esperanto after about two hours' perusal of the text book, and made about half a dozen minor errors, but my correspondent had no difficulty in understanding what I desired to tell him. Can the same be said with regard to English, French, German, Russian, or any other modern language? The objection has been put forward that Esperanto has to be learnt—necessarily. Before anything is known it must be studied. I believe itis a fact that all languages, even the mother tongue, must be learnt. English children are taught speak English in their homes, and to write and read it in the schools. My contention is that it is easier to learn Esperanto than any other language, ancient or modern, and that Esperanto is thus admirably fitted to be used as the language of commerce, science, medicine, and other professions of international and world-wide importance. There is no wish on the part of advocates of Esperanto to supplant the National languages. We desire to teach an aŭiliary language, to be learnt by all people having correspondence with foreigners, thus making international business matters less complicated and costly than they are now. As regards the suggestion put forward by your correspondent that every person should be taught to draw correctly, and carry on conversations with foreigners by means of drawings, supplemented by imitative or other sounds, I fear that is an ideal hardly capable of realisation. Unfortunately only small percentage of the human race is gifted with the artistic sense, and the drawings would require, in most cases, a deal of explanation. it becan e necessary, when drawing (say) a horse, to say "This is a horse," and supplement the drawing with imitation of neighing, I fear the conversation would lag somewhat. Please excuse this frivolity, but that is how the idea presents itself to my inartistic nature. May I add that the Dover Esperanto Club meets every Thursday evening at 8 o'clock, at the School of Art, thanks the kindness of the Mayor in placing a room at our disposal. Non-members are always welcome, and I should be pleased at any time to give information, and to supply text books, etc. I remain, dear sir, yours obediently, H. S. GEDDES. Hon. Sec., Dover Esperanto Club. Northumberland House, Dover, 24th August, 1904. THE ESPERANTO CONGRESS PROCEEDINGS AT BOULOGNE. VISIT TO DOVER YESTERDAY. At Boulogne this week, for the first time in the history of the world since the confusion of tongues at Babel, a Congress of representatives of all parts of the world—or, at any rate, of 35 distinct nationalities—has met and been able to speak to one another in a language common to all. Esperanto, the language which made this possible, is the invention of Polish gentleman, Dr. Zamenhof, of Warsaw. At an early age he recognised that if it were possible to introduce a universal language to use as a means of communication between different nations he would be conferring a benefit mankind. It is not a new idea. In the Middle Ages Latin was to a certain extent a universal written language, but as a spoken tongue it never was universal, because of the differing pronunciations and because of its intricate grammar. 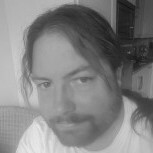 Volapuk was another attempt at a universal language, and Bolak was another. Each, however, proved useless for reasons of want of simplicity and from artificial ideas in forming the words. Esperanto is claimed to be and is so absolutely simple that its grammar may be learnt in a day; its words are not artificial, but derived from the roots of European tongues, and a large proportion are very similar to English. Its pronouncation based the Phonetic principle of one letter -one sound. Each sound is to be found in every spoken language in the world, and therefore there is no danger of Esperanto being pronounced dif ferently by different peoples. Esperanto being so simple, has made wonderful progress in the short time, comparatively, that it has been before the public. In every country Societies, National with local branches, have been formed to teach and practice the new language, the Dover Esperanto Club being a local example. There are similar organisations at Deal and Folkestone, the latter being an outcome of the propagandist work of Mr. H. R. Geddes, of Messrs. Friend and Co. 's Continental Agency, who was the original Secretary of the Dover Esperanto Club. Representatives from such organisations all over the world gathered together to tho number of between three thousand and four thousand s>t Boulogne for this first Universal Esperanto Congress. Dr. Zamenhoff, the inventor of the language, met with hero-worship sufficient to turn the head of anyone, but he seemed to keep cool and by turning the energies of his devotees into propagandist work to profit, the cause of Esperanto thereby. The Congress opened on cay at tho Municipal Theatre of Boulogne, a handsomely decorated building about the size of one of the large London Theatres. The Mayor of Boulogne, M. Peron. presided, and welcomes were addressed to the Esperantists by him and lv M. Michaŭ, a well known French barrister, who is President of the Boulogne Esperanto Club, and both an enthusiast and an accomplished speaker the new language. Dr. Zanienhof met with an enthusiastic reception, in the which enthusiastic Esperantists cheered, viva-ed, waved handkerchiefs, until fatigue alone brought quiet and allowed the doctor to speak. He dealt mainly with Esperanto as a means of cementing the brotherhood of mankind, and by furthering mutual understanding lead to idealistic state of International peace. A superb concert followed, all performances being in Esperanto. The Congress has attracted great deal of attention from both the English and French Press, but the stories about everyone in Boulogne wearing the green Esperanto star and Esperanto being heard everywhere, were quite far of the mark. Boulogne is still French, and the general prevalence of "English spoken here" not yet superseded by the green symbol, and the words "Oni Parolas Esperanton." but there were, all the same, plenty of such signs to seen. The visitors, though so large iri numbers, are out-distanced by the ordinary visitors to Boulogne, which is very full just now, with the result that the hotels and lodging houses were all crowded. Excellent arrangements had been made at Boulogne for the accommodation of the visitors, who had also been well prov'ded for with railway facilities by the enterprising and well managed Northern of France Railway. Amongst the Dover visitors were Mr. W. Chitty (Hon. Secretary Dover Esperanto Club), Mr. and Mrs. C.E. Beaufoy, Mr. and Mrs.W. L. Law, and M. J. M. Finez, vice-Consul of France at Dover, and Agent for the Nord Railway, who was one of the organising Committee the Boulogne Congress, and responsible with the Agence Voyages Modernes—the chief French Tourist Agency—for the arrangements for the visit. of the Esperantists to England. This latter would have been a much larger affair but for the lack of cheap facilities offered the S.E.R. Co., as a result of which, instead of 800visitors staying at Dover, a large number will return the same night. At Boulogne, the Congressists spent Sunday in various ways. Some churches had Esperanto sermons; at others the ordinary services were attended; buit the majority spent their time visiting tho surroundings of Boulogne. In the evening a concert was given at the Municipal Theatre, in which all performers used Esperanto, and there was also acted Moliere's " Marriage forcee," translated into Esperanto, and acted by amateurs of about a dozen different nationalities. On Monday, a good deal of Congress work, dealing with with the details of Esperanto, was got through before noon, when a grand banquet tcok place at the Casino, where over 400 delegates, representing 35 nationalities, were present-. M. Michaŭ. the President of the Boulogne Esperanto Club, was in the chair. The health of Dr. Zamenhof was submitted in enthusiastic terms by him, and he referred to the rapid development of Esperanto throughout the world, and predicted that it would fulfil the aim of its inventor by becoming a universal aŭiliary language for the purposes of commercial correspondence, etc. Dr. Zamenhof, in the course of his reply, urged the importance of Esperanto as factor in the world's peace by breaking down the language barrier, and enabling the nations better to understand each other. Then followed a remarkable scene, as for nearly two hours representatives of one nationality after another, twenty in all, from both hemispheres, rose and paid glowing tributes to Dr. Zamenhof as inventor of the common language in which they all spoke. The almost frantic applause with which tlioir speeches were received, proved how efficient an instrument is Esperanto. The English speaker probably created the most interest by calling upon his co-patriots to join in giving Dr. Zamenhof musical honours with "For he's jolly good fellow!" sung in English by way of a change. In the evening a grand costume ball took place at the Casino, when distinctive national costumes wore worn to a very large extent by the delegates. The Casino was crowded with visitors, who undoubtedly had both curiosity and interest aroused in the new language by the novelty of the event. One wonders about the later history of Esperanto in the town. Are there minute books in existence?